Fans of Belgian-style sour beers will want to take note of the Crooked Stave Artisan Beer Project and its taproom at the Source, which is at 3550 Brighton. Crooked Stave distinguishes itself among Denver breweries with its barrel-aged, limited release craft beers. These are not Belgian lambics, which are brewed in specific regions, but are instead a whole new approach to the burgeoning sour beer trend. Crooked Stave’s brews begin with special yeast strains that impart the desired tartness, followed by aging in first-use red wine, bourbon, and other barrels, depending on the characteristics the brewmaster wants to impart to his beer. Barrels add both color and flavor to the brew, including vanilla, caramel and burnt wood tasting notes. 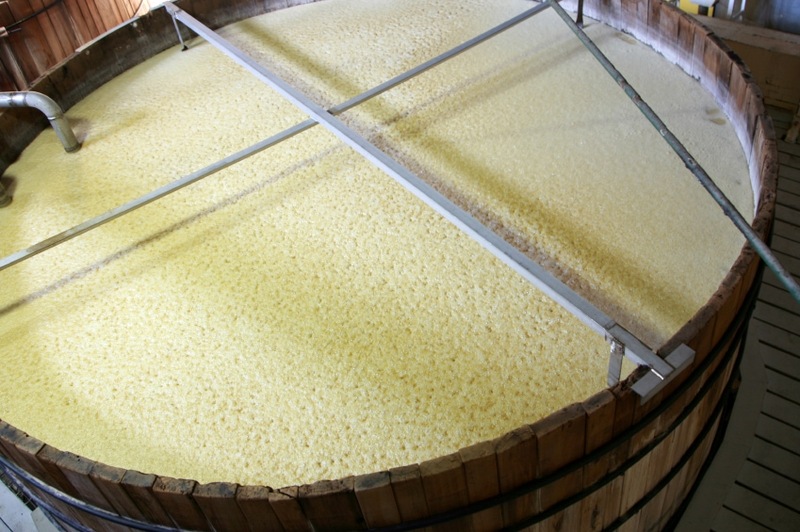 Barrel aging extends the time required to produce a batch of beer. Some barrel-aged sour beers can remain in barrel for up to two years before their release. Sour beers in general are more challenging to produce, but for many people the resulting product is worth the challenge. Crooked Stave’s beers are made in small, limited run batches. When a batch runs out, a new batch with different taste characteristics will take its place. Crooked Stave reserves some of its more limited release batch’s for members of its cellar reserve club. In 2013, the brewery gave purchasing priority to its cellar reserve club members for its golden, burgundy, and dark sour beers. Many of those beers remain available for sampling in Crooked Stave’s taproom. Belgian-style sour beers will not appeal to everyone’s tastes, nor will they be an everyday staple beer for most people. The tastes are typically complex and full-bodied, almost demanding that they be relished slowly when a drinker can focus on the craftsmanship that went into brewing them. A recent tasting of Crooked Stave’s IPA-style sour beer, for example, revealed a unique blend of typical IPA hoppiness balanced against its sour overtones. The Denver Microbrew Tour offers two-hour guided walking tours of breweries in and around downtown Denver. We support and encourage the growing microbrew trend that has made Denver the “Napa Valley of Beer”. Please contact us for information about our walking tours or other aspects of Denver’s beer heritage.